Turn Back the Clock Through Dentistry! Like anything else, teeth naturally wear down with age, while the tooth enamel thins. In addition, years of staining foods and drinks, in conjunction with tobacco habits, can darken our tooth enamel to contribute to an “older” appearance of your teeth – and your overall look. Your smile is the way you greet the world. What if you could turn back the clock and reverse some of the signs of aging on your smile? Here are some ways we can help! Depending on how worn your teeth are, or if they include any tiny chips or are misshaped in any way, we may be able to correct minor imperfections by simply polishing the worn edges and sharp angles of your teeth to make them look more aligned and symmetrical. Teeth that are stained or have small gaps, slight misalignments, or chips may benefit from cosmetic procedures such as porcelain veneers or crowns. Also, with the new advances in orthodontics you can straighten your teeth with Invisalign, invisible braces, and enjoy the results of a beautiful smile. Like the shape of your teeth, but not the color? The easiest way to brighten your smile – and subsequently take years off your appearance – is by professionally whitening your teeth. Over-the-counter products can’t match the power of professional whitening, such as Zoom whitening, as seen on Extreme Makeover. And while we’re talking about color, let’s not forget about those unsightly metal fillings at the back of your mouth. 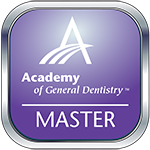 Please know that dark, amalgam fillings can now be replaced with natural-looking, tooth-colored composite resin fillings. The best and easiest way to ensure you keep your smile looking its best is by maintaining regular dental cleanings and exams. Poor dental health has been directly linked to heart disease, diabetes and stroke so seeing your dentist regularly impacts your overall health. Ask us how to best brighten, reshape, and rejuvenate your smile to turn back the years by calling Dr. Donnelly’s office in San Marcos at (512)396-5225. 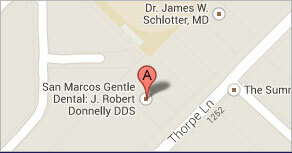 VOTED BEST DENTIST IN HAYS COUNTY 2012! !